2 story motel with 98 rooms all with Satellite TV with HBO, Refrigerator, Coffee maker, Hairdryer, Iron and Ironing Board. Suites also come equipped with Microwave, VCR and Jacuzzi tub. 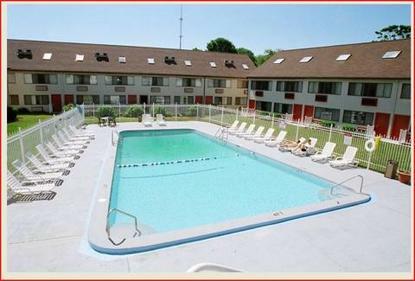 Indoor Heated Pool with Jacuzzi Spa, seasonal Outdoor Pool, free wireless Internet Access and complimentary breakfast.